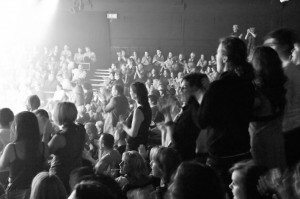 In this collaborative pilot study, eight arts and cultural organisations in Liverpool (acting together as the Liverpool Arts Regeneration Consortium, or LARC) surveyed audiences and visitors about the impacts of their experiences over the 2009-10 season. This report discusses the range of findings with respect to audiences’ ‘readiness to receive’ the art and the six constructs of intrinsic impact: captivation, emotional resonance, spiritual value, intellectual stimulation, aesthetic growth and social bonding. The results of the study have stimulated conversations about artistic programmes, audience engagement, customer service and other topics, and also helped to advance a longer arc of learning about impact assessment underway in the U.K., U.S. and Australia. Together with the wide range of smaller cultural organisations and other major venues in Liverpool, LARC represents a cultural infrastructure that is among the best of any of the major English regional cities. For this project, Baker Richards Consulting worked in partnership with WolfBrown, combining significant experience across research, data analysis and marketing in the cultural sector. WolfBrown has pioneered the development of this type of research in the cultural sector in the US and this would be a groundbreaking study for the arts in the UK. WolfBrown helps foundations, government agencies and non-profit organizations understand their potential and fulfill the promise of their missions.